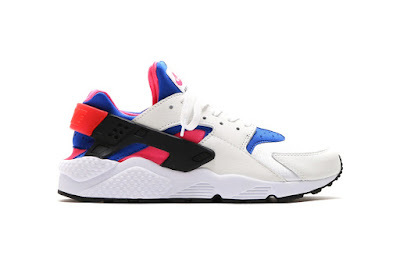 Air Huarache retro fever may have peaked a couple of years ago, but Nike is looking to recapture a little of that magic with its latest re-release for the iconic Tinker Hatfield-designed runner. Dubbed the Air Huarache Run ‘91 QS, this drop isn’t just any Huarache. Instead, the Swoosh has offered up a design that harkens back to 1991’s original in the underrated White/Game Royal-Black-Dynamic Pink colorway. 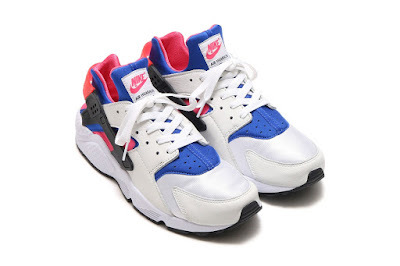 Here, the kicks not only pay homage to the silhouette’s original build, but even swap out the ubiquitous Huarache badges on the neoprene tongues in favor of the OG’s more prototypical Nike-branded tags.